4k00:23CIRENCESTER, ENGLAND - 12 SEP 2018: Cotswolds England Cirencester town center market. Historical village with homes businesses. Destination for tourism and vacation travel. hd00:10ZURICH, SWITZERLAND - CIRCA MAY 2015: Travel along a city center. Zurich city is home to a large number of financial institutions and banking giants. 4k00:32KRAKOW, POLAND - SUMMER, 2016: Market Square in Krakow. Old city. Poland. Shot in 4K (ultra-high definition (UHD)). 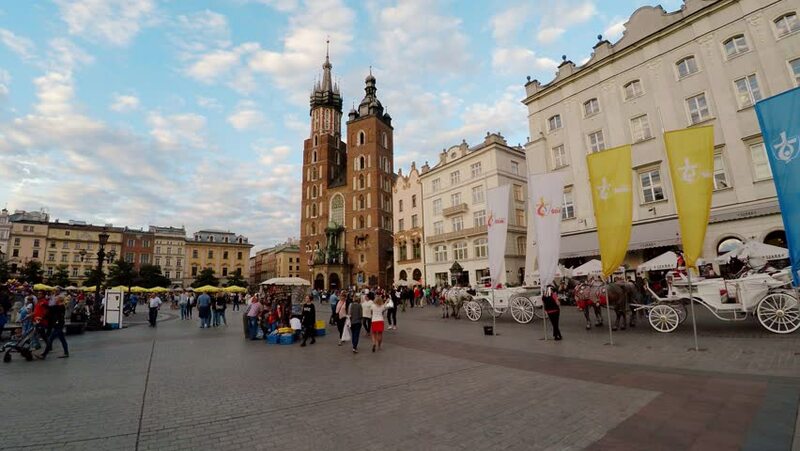 hd00:21KRAKOW, POLAND - JUNE 10, 2018: The evening on Main Market Square with a view on Town Hall Tower, Cloth Hall, summer restaurants, outdoor cafes and bars, on June 10 in Krakow. 4k00:14Prague, Czech Republic-2010s: A street performer blows giant bubbles in a square in Prague, Czech Republic.